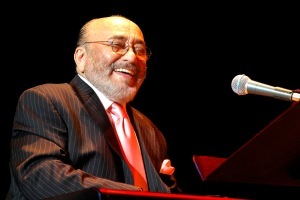 Island of Sveti Nikola, June 29 at 10 p.m.
Eddie Palmieri is one of the great icons of salsa and Latin jazz music, earning himself such titles as The Sun Of Latin Music, Th e Wild Man Of Salsa, and The Latin Jazz Messenger. Over the past five decades, Eddie has released 36 albums and has received nine Grammy Awards for his contribution to world music. Palmieri was born in New York City in 1936, into a family of Puerto Rican immigrants, but owes his Italian name to the fact that his great-grandfather was born in Florence and emigrated to Puerto Rico in the early 19th century. Palmieri began piano studies at an early age and participated in several piano competitions as early as eight years old. He played timbales in his uncle's orchestra for a short while, but at the age of 15 he forsook percussions to definitively return to piano. His earliest musical development was greatly influenced by his nine-year senior brother Charlie, the salsa legend, now deceased. Professionally, his career started in the early 1950s in well-established orchestras, and in 1961 he formed Conjunto La Perfecta, the band which is still considered one of the most influential and innovative bands of the time. His unconventional approach to orchestration is best reflected in his replacing La Perfecta's trumpets with the trombone section, which was a unique thing in Latin music back then. He will once again surprise critics and his fans with the 1971 release entitled Harlem River Drive. This recording was the first to really merge elements of jazz, salsa, funk, and soul. In his eventful career he received a number of awards and honorary titles, including the rare honour from the Smithsonian Institute that recorded two of Palmieri's performances for their catalogue of the National Museum of American History in 1988. 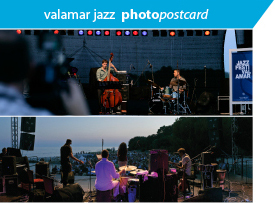 Palmieri got his latest Grammy Award for Best Latin Jazz Album in 2007 for the album entitled Simpático, recorded with the trumpeter Brian Lynch.